Can just one ticket open the door to lifelong wealth? 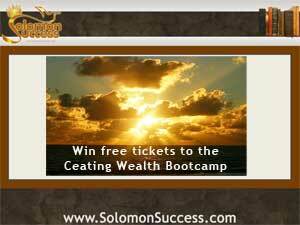 If that’s a ticket to Jason Hartman’s upcoming Creating Wealth n Today’s Economy Bootcamp. held this June 28, 2014 in Irvine, CA, it certainly can. And now, you can even get access to Jason’s expert advice on how to build wealth in real estate – for free. Use legal leverage to turn the tables on the mega banks and practically steal money from them – and turn it into wealth that lasts lifetime. How? By leveraging the power of the most enduring and tax-favored asset in America: residential real estate – an asset that’s always in demand and stands the test of time.